We’ve gathered these Amazon tips for Cyber Monday to help eCommerce sellers maximize this huge buying opportunity. Be sure to check out our blog, Black Friday tips for Amazon sellers as well. Now back to Cyber Monday…. We’re happy to report that the Cyber Monday stars seem to be aligned to top the huge numbers experienced last year. Adobe Insights reported that online transactions on Cyber Monday 2017 reached a record $6.59 billion, with mobile sales surpassing $2 billion for the first time ever in a 24-hour period. Those are certainly big numbers to beat, but consumer confidence figures point to the fact that they will go up this year. Two recent industry surveys, one from the National Retail Federation and the other from leading global professional services and advisory firm, PwC, show that consumers plan to spend between 4%-5% more than they did during the 2017 holiday season. The experts attribute the high levels of consumer confidence to the lowest unemployment rates seen in decades along with higher take home wages. Another good thing driving the stars for Amazon sellers is the fact that consumers trust Amazon with their personal data, making the platform a top destination for Cyber Monday shoppers. In fact, a recent survey over 1,000 U.S. consumers by Janrain found that 48% will try to only buy from companies they believe will protect their personal data, though they don’t fully trust all of the brands they conduct business with. When asked to name the brands that are most trusted when it comes to protecting their personal data (without any prompts), consumers ranked Amazon as the most trusted retailer. Now, we all know that Cyber Monday isn’t really just Monday, but the start of a seemingly endless Cyber Week, which some online retailers extend until the very day of Christmas itself. Nevertheless, the biggest concentration of online shopping happens on Cyber Monday and Amazon sellers are wise to gear up for this huge shopping day. Here are our best tips for sellers to make this Cyber Monday (no matter how long it turns out to be) your most successful yet! 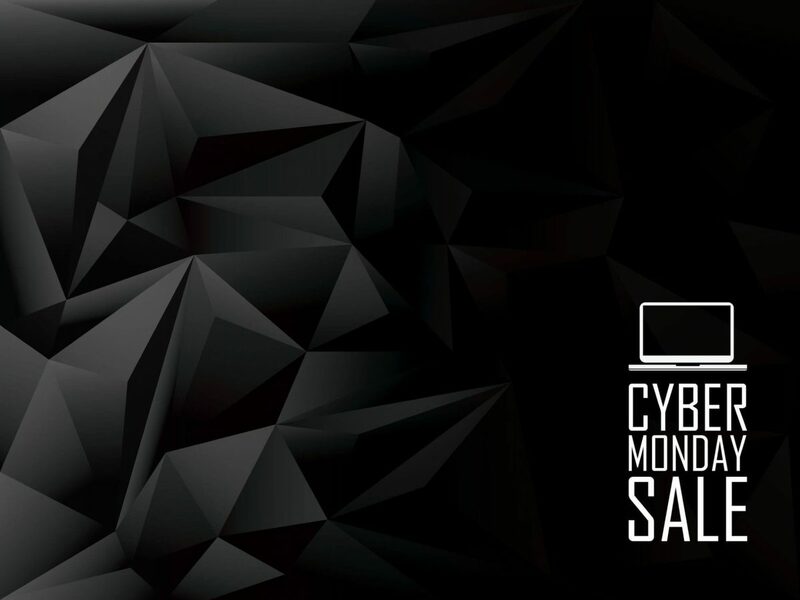 Make sure you have the best suppliers lined up for sourcing Cyber Monday items. Sure, you can lower your risk by not stocking too much, but you wouldn’t want to run out of stock during peak demand. Check that your systems are up for the task. Big retailers have been known to have experienced crashes during the Cyber Monday rush. Do everything you can to make sure your systems pass all load tests, and have a contingency plan so you are prepared if your most important employee calls in sick or if your WiFi goes down. Diversify your markets. As an Amazon seller, you likely have access to a few of their different markets. You don’t have to confine yourself to your local one. A trusted product analysis tool, like Algopix, can help you determine which products are best to sell in which markets, so you can maximize revenues and profits. Prepare your advertisements early. Have a design template ready with text and pictures for your most popular products so you can simply swap out what you need when you need it. Remember, the Algopix platform also provides recommended search terms to help you get the best results from your advertising budget. And, don’t forget to watch your ad platforms so you don’t run out of budget at a critical time. Leverage your customer base and social followers. Existing customers are your most valuable asset. In this case, the old adage: “Out of sight, out of mind” is NOT a good thing. Send targeted emails with offers for products that match their profile. Decorate your site, social channels and your emails with holiday banners. Reach out to your followers via all your social channels as often as you can. Create special offers. Bundle a top-selling but perhaps low-margin product with higher margin accessories or complementary products. That way you have a chance to get a little more profit with each sale. Attend to any customer issues immediately. Customer reviews are critically important to your business. One disgruntled customer can leave a bad review and spread their dissatisfaction on social, negatively impacting your sales. Sure there will be some customers you just can’t please, but if you respond immediately, you have the greatest chance of resolving misunderstandings, warding off issues, and transforming them into satisfied loyal customers. While these Amazon Cyber Monday selling tips are meant to help you enjoy the most sales this holiday season, they can actually be helpful year round as well. Please add any tips you’re willing to share in the comments section of this blog. Wishing you a prosperous Cyber Monday and 2018 holiday season!